Declan lives in the shadows helping deliver people out of the worst moments of their lives. After his military career ended he joined a team in a foreign land putting the most lethal skills in his toolbox to best use, all the while watching over his only family from afar. He wants his sister, Morgan to enjoy all the best in life, free from the confines of the knowledge of what he does and the evil that threatens their world daily. When his sisterâ€™s life is unexpectedly jeopardized though, he will need to break every rule to help find answers of historically altering events that will change his world and cause him to question everything in the pursuit of truth. Alessa has always lived a sheltered life under the overly watchful eye of her parents, even after their untimely deaths she follows their advice to the letter. Avoiding people, technology and any social interactions with the only exception being her best friend and editor friend Morgan, she maintains the solace she was born into and knows best. 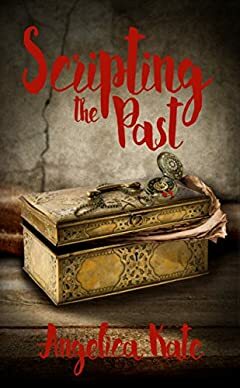 When secrets from her parentâ€™s past start threatening her Morgan, she will embark on a journey toward answers with the most brusque, infuriating man she didnâ€™t know she would never be able to live without.